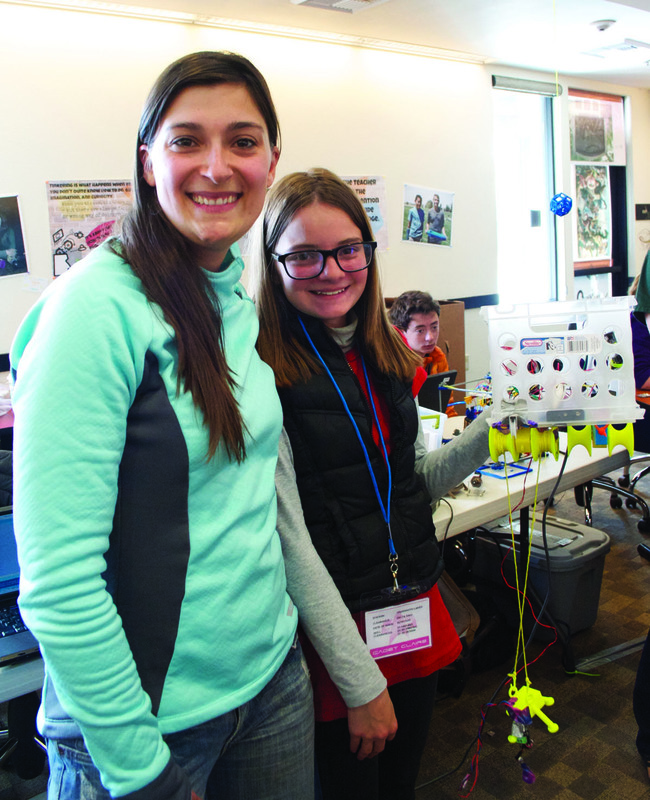 Inventor’s Bootcamp 2015 teammates Melissa Brinar (left) and Claire DesBaillets (right) are all smiles at T-minus four minutes to probe deployment. 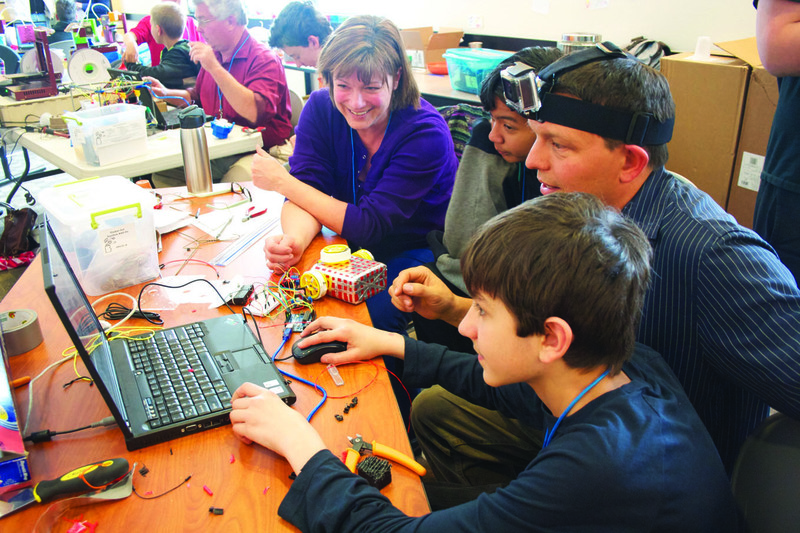 This year’s Inventor’s Bootcamp ran from Monday, April 20 to Thursday, April 23 at the Mammoth Library. Participants split into six teams and, taking their inspiration from the movie Interstellar, designed a probe and a mechanism to deploy it to test “asteroids” for natural resources. Above, left to right, Taylor Kumlue of the Mammoth Library, with teammates Lyle Tonacao, Inventor’s Bootcamp Co-founder Steve Kurti, and Luca Cameron.